Providing you the best range of high density polyethylene pipes for water supply with effective & timely delivery. We offer a very broad range of High-Density Polyethylene Pipes for Water Supply, they are manufactured under the supervision of the expert team. They are available in different diameters ranging from 16 mm to 500 mm with silicon coating inside. "Tirupati" HDPE pipes are manufactured from virgin raw material and are a cost-effective & a safe solution for irrigation, water supply, Industrial application. HDPE pipes in coil form for submersible pumps, etc. 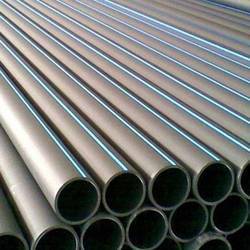 these pipes are made under strict quality control & conform to various IS & International Standards.